Natural settings for sport and relaxation. Bare, arid, sun-baked, all adjectives used by those who do not know Sicily well. But there is another Sicily to discover. The Nebrodi and Madonie mountain ranges are the last offshoots of the Italian continental Apennines; all around there is a ferment of hills that end where the sea begins. Your eyes see only the yellow of the crops and the green of the vineyards. Bread and wine that this land offers to those who know how to learn it. If you should wish to explore this land, the parks, the reserves, the wildlife sanctuaries, you will discover lots of other colours. And fragrances too. "Since the time of Proserpina, Sicily has been the house of flowers. 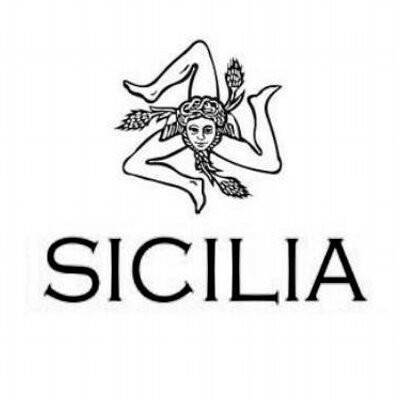 It is said that the virgin Goddesses, Proserpina, Minerva and Diana, wove a multi-coloured tunic made of flowers for their father Jupiter... Now I understand why the Gods loved Sicily so much." This is what was written in 1880 by a "Milady in Sicilia", whose real name was Frances Elliot. The sea and the islands. Gems set in a sea of sapphire. Tears of lava, limestone plains swept by the wind, sunny lands the colour of bronze: one by one the islands decorate the Sicilian coast like a string of pearls on the neck of a beautiful woman. There are fourteen of these daughters of Sicily, not including Motya, which at low tide is sometimes linked to the coast of Marsala. Fourteen paradises of untouched beauty. Some have an African charm, such as the Pelagie, in the province of Agrigento, and Pantelleria in the province of Trapani. Others, the uncontested mistresses of the sea and its secrets, Levanzo, Favignana, and Marettimo, form the archipelago of the Egadi in the sea off Trapani. Further north, in splendid isolation, is Ustica, the island of Circe, with its unspoilt marine reserve. And in the Aeolian islands, in the province of Messina, water meets fire. Here nature still dictates. Its rhythms, and travellers can let themselves be enchanted by the magic spell of the fishermen and farmers who inhabit these isles, the last custodians of the ancient Mediterranean traditions. The choice is yours - between the lively throngs on the Aeolian Islands, the peace and quiet Pelagie, and the perfumes of the Egadi. The sea is perennially the colour of sapphire, the domain of dolphins and swordfish. And so it has been since the dawn of time. Devotion suspended 'twixt sky and sea. Are Sicilians religious? They must certainly be cautious, if you consider there are almost seven hundred patron saints looking after the 389 Sicilian towns! Palermo alone has twenty "ordinary saints", fifteen "principal saints", four female "patron saints" who can be seen at the Quattro Canti, and one "patron to watch over all", Santa Rosalia. Why so many saints? Perhaps because, unlike God, they too were once mortals on this earth and were considered to be the only ones capable of understanding and providing for human needs. And then, after all, it's the saints who perform miracles…The festivities in their honour originate from ancient pagan cults, rites linked to the solstice and the seasons, while others may strictly speaking have little to do with religion. From the tenth to the fifteenth of July, in the sweltering heat of summer, the inhabitants of Palermo are in a state of frenzy: it's Festino time. The Festino is hard to explain. It is most certainly the peak moment of city life, a gigantic popular ex-voto dedicated to Santa Rosalia as a thanksgiving. She it was who saved the people of Palermo from the plague in 1624. This is the last surviving example of the "baroque festivals" of Europe, with a triumphal chariot, huge enough to transport a band of musicians. It is a symbol of the city, unique in Europe, demonstrating the wealth and splendour of Palermo. An act of municipal pride, to remind people - spectators and participants alike - of the City's regal dignity! Still today, for many, Santa Rosalia remains the Great Hope. Art and culture between sun and sea. The identity of a land born of the waves. What is the identity of this land born of the waves? You may find yourself asking this question after your first encounter. Indeed it may well happen. For it is not easy to grasp the meaning of this island, which is itself a continent. But don't despair - that's how it always is: at first sight you may well not fully understand. It is not easy to understand Sicily. Just like a beautiful woman, Sicily needs a certain type of approach and cannot be easily won. All you can do is to let yourself be seduced. Just as the first Mycenaeans were seduced when they came this way to buy obsidian and pumice-stone in the Aeolian Islands, when nothing else was known for cutting and polishing. Just like the Phoenicians, who along these very coasts set up their trading stations and left them in the charge of people taken on in every corner of the Mediterranean, people who lived in peace, trading with Siculs, Sicans, and Elymians. Why were they called Elymians? Ex limen, in Latin means refugee, driven from home. This gives an immediate picture of the ancient island civilization. Everyone was always welcome. Just like the Greeks, seeking somewhere to live in peace, and hosts of others. As happens today to many other unfortunates who escape to these shores, fleeing from poverty, war, famine, and oppression. Un viaggio all’insegna dei sapori e delle tradizioni popolari. Our cuisine is a perfect blend of all the influences of the various cultures that have followed each other in the island. Rather than a cultural residue, it is the most resistant trait of a whole culture. The dining-table is the place of introspection of all the different civilizations that have passed through the island. An ancient pleasure indeed, if it is true that Plato, once visiting Syracuse, criticized its citizens for "sitting down at table several times a day". Sicilian cuisine? There are three sorts: the patrician or baronial cuisine, that of the ordinary people with all its lively inventiveness, and street cuisine, i.e. that of the "buffittieri", as they used to be called, a term originally derived from the French buffet. An immense wealth and variety of dishes, since every city, town, and family has always had its own version of each recipe, reflecting the island's strong sense of individuality. While the Monsù, the chef to the great aristocratic families, produced in the palaces celebrated dishes of soles and groupers, hares and capons, the people down below could enjoy the aromas and the fantastic descriptions made by the servants. With great imagination and skill these dishes were reinvented using ingredients that were often quite basic. De-boned sardines were promoted to the rank of soles: "lenguado", in the Spanish of the nobles, meant "sole", and thus sardines a linguata were created. A certain small bird similar to the blackcap, when skilfully prepared, became the beccafico that theMonsù proudly served in jelly with pickles. Aubergines were thus disguised as "quails" and even as "parmiciana", which is a dialect word meaning simply a shutter. Nothing to do with Parma and its parmesan cheese. And from the aubergine also came the queen of popular cuisine, caponata, the aubergine appetizer served as a sweet and sour sauce and originally created in the kitchens of the courts of pre-Islamic Persia.